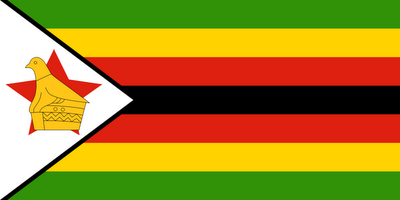 This is something I've been wanting to write about for some time: Zimbabwe. I first came to the conclusion that Zimbabwe is the worst country in the world (and when I say that, I mean country with a functioning government - I don't include failed states like Somalia, Iraq [yes, Iraq], or, say, Canada) when I saw an episode of "Wide Angle" about the Zimbabwe/Botswana border. Botswana has one of the fastest growing economies in the world. Zimbabwe is Botswana's Mexico. Zimbabweans jump the border to find work and the Botswanans are none too happy about it. The President of Zimbabwe, Robert Mugabe, while originally elected democratically, has installed himself as de facto dictator. He has mishandled the economy, the HIV/AIDS epidemic, and even the country's ability to grow it's own food. Zimbabwe is in a contest with Swaziland for lowest life expectancy on the planet. Of course, Zimbabwe has 13 times as many people as Swaziland. This post was sparked by something I read today: The last two independent newspapers in the country are under attack by the Mugabe government. They stripped the publisher of these newspapers of his citizenship! Not that Zimbabwean citizenship is a prize or anything but come on! Africa is a messed up place. Zimbabwe is messed up for Africa. I'll be checking in with Zimbabwe frequently, so stay tuned. Comments on "Zimbabwe: The Worst Country in the World"